Here is a recipe from the old Moosewood Cookbook that I’ve been making for years in the winter time. 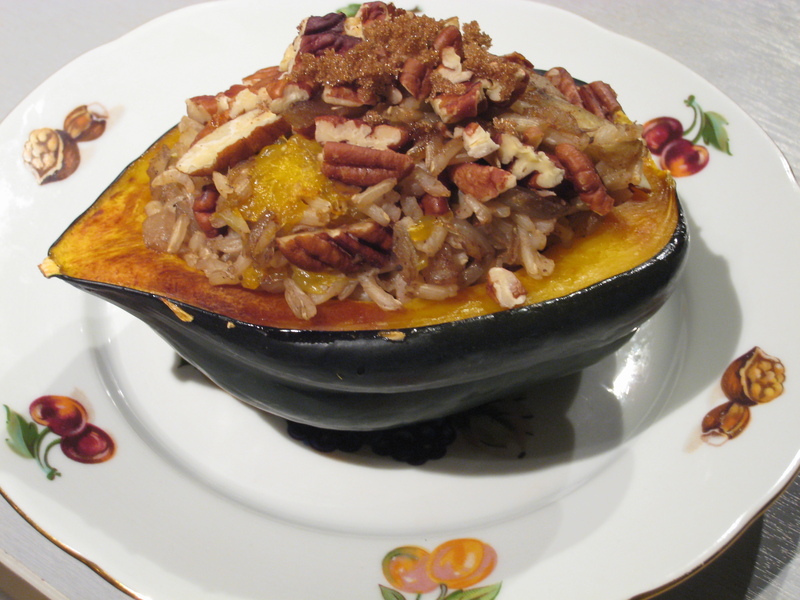 It’s a really tasty vegetarian recipe that’s also quite hearty. It also looks pretty impressive when it’s served – it’s best to use quite small squash if you’re going to serve a half for each person. 1. Cook the rice in 1 & 3/4 cups water for 45 minutes, then let it rest off the heat for 10 minutes. 2. 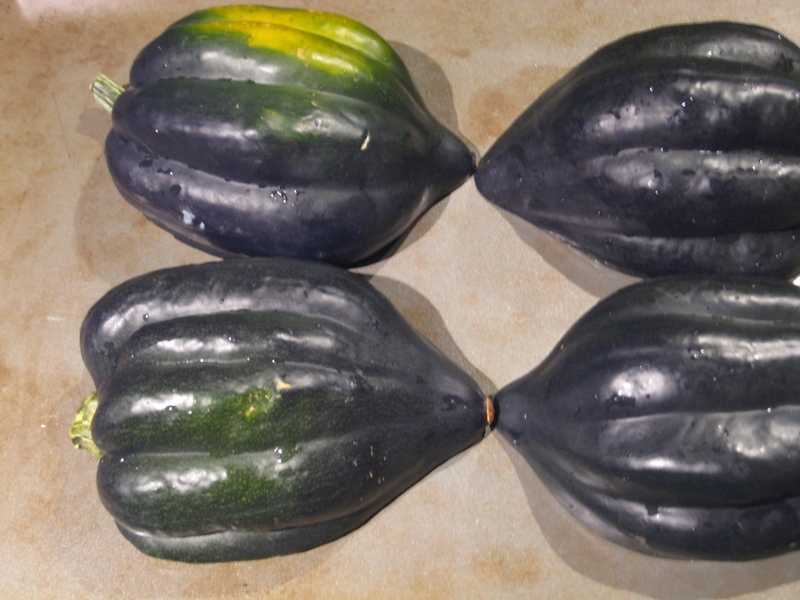 Cut the squash in half, de-seed and place cut-side-down on a baking tray. Bake for 30-40 minutes at 350F, or until very soft. 3. Melt the butter, then cook the onions until slightly browned. 4. Add garlic, apples, oranges and spices and cook for about 5 minutes more. 5. Add the apple mixture to the cooked rice and season with salt and brown sugar. 6. 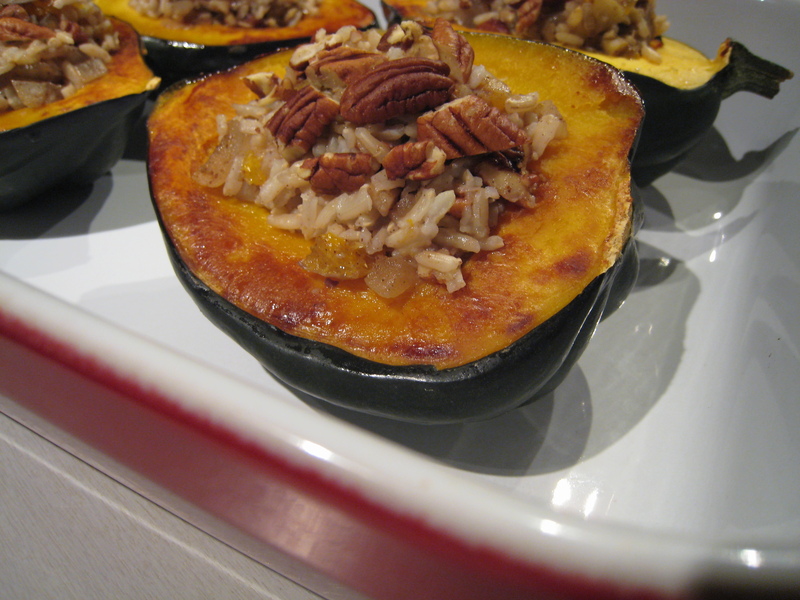 Fill the squash with the rice mixture, top with nuts and a little more brown sugar if you like. 7. Bake at 350F for 20-30 minutes or until heated through. I like to have some for leftovers – I scoop it all into a container to save in the fridge, so it doesn’t look fabulous. But it sure tastes great!